So, you are not a full-blown wizard; you can’t summon spirits or use magic to make things better. Hey, that is okay, friend. We think your wizard costume is pretty magical, anyhow! And we ought to know. We see thousands of wizards every year, and your look is one of the best yet. But...seeing as you aren’t a wizard, you probably can’t just conjure some stellar facial hair out of thin air, huh? That is one of the perks of being a wizard, yes. But don’t worry! 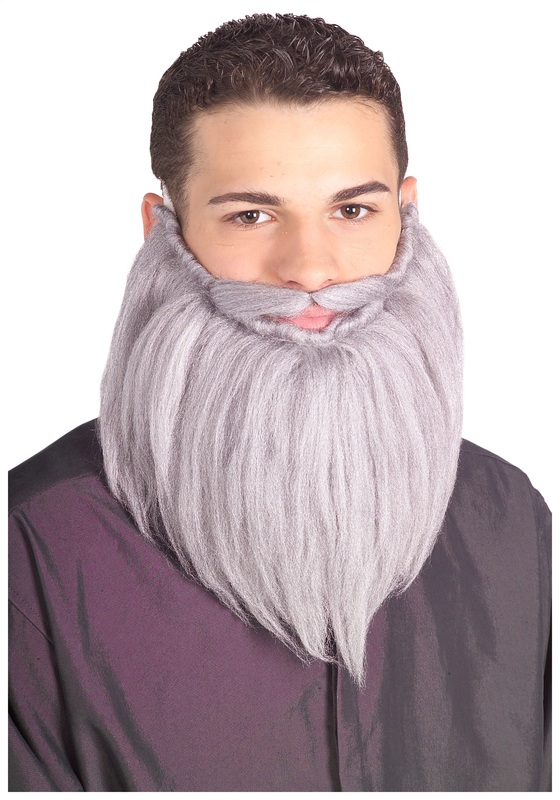 Because this Grey Wizard Beard and Mustache is just as good as anything you could whip up from any spell or potion...and...the magic doesn’t wear off, meaning you can wear this luxurious beard Halloween after Halloween. And that makes it worth its weight in wands!